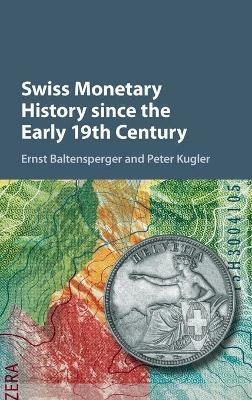 Ernst Baltensperger is Professor Emeritus of macroeconomics at Universitat Bern, Switzerland and former director of the study center Gerzensee of the Swiss National Bank. He studied economics at Universitat Zurich and received his Ph.D. in economics from The Johns Hopkins University. He was an advisor to the Swiss National Bank and the Swiss Government, and served as an editor of several academic journals. Peter Kugler is Professor Emeritus of monetary economics at Universitat Basel, Switzerland. He has held previous positions as Professor of statistics at Universitat Basel, Switzerland, of econometrics at Universitat Bern, Switzerland and economics at Universitat Wien, Austria. He served as member of the scientific advisory board of the Deutsche Bundesbank and was external advisor to the Swiss National Bank and the Swiss Government.